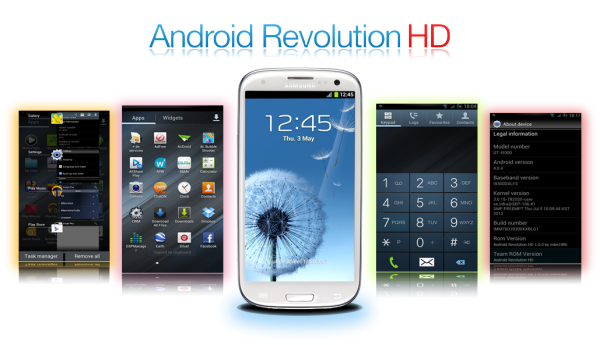 The Android Revolution HD has been rolled out for Samsung Galaxy S-III smartphone. This is the improved version of stock ROM with no visual changes. It is very fast, clean and stable. The users of the Samsung Galaxy S III; those who wants to flash this ROM can make use of the tutorial which we have given below. Boot your phone in recovery mode. For that you need to press the Volume Up button + Home Button + Power button. In main menu, Select “Install zip from SD card”, select “choose zip from SD card” and browse to the location of “Super Wipe” script. Again select the “choose zip from SD card” and browse to the location of Android Revolution ROM. Wait until the flashing process has complete. After that reboot your device.